Salsa, one of the most popular Latin dances, is taught in studios all around the world. With salsa, you can tap into your inner fire and bring it out in a passionate, intense dance. With Danza Pasion in Perth, you can take salsa classes and reveal your inner passion in a fun, easy-to-learn environment! Though salsa can look complex when you watch professionals, it is actually easy to learn and Danza Pasion’s instructors know exactly how to maximise your strengths and make salsa dancing lessons easy. Learn salsa, mambo, merengue, cha cha cha and more once per week. We feature beginning classes all the way up to the most advanced classes. Instructors can teach you everything from the basic steps to the more refined techniques. Our salsa lessons are the epitome of our Latin dancing classes and give you a great place to start if you want to learn Latin dancing. Even if you are uncoordinated, our instructors can work with you during our classes and by the end of your session, you will be amazed how well you learned salsa dancing. Learning to dance salsa has many benefits for your body and mind. Not only will you have the opportunity to show off your unique dancing personality, but you will also become lost in the rhythms of the music and truly enjoy yourself. Many people forget about their other worries while salsa dancing and instead focus on the steps and the music. Such an exercise is therapeutic for the mind and for your body. 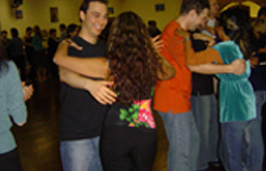 Taking salsa dancing classes is a great way to lose weight and become trim while having fun. If you are becoming bored with your gym routine, consider changing up your life to attend salsa lessons. Nothing gets your blood pumping more than an exciting dance like salsa dances. Whether you prefer mambo, merengue or jive, your salsa preference gives you a chance to express yourself like you never did before while losing weight. Our approach to dancing is what makes Danza Pasion a special studio. While taking salsa dancing lessons, you’ll find that you will form bonds with your classmates, especially sharing the dancing experience with them! Many of our students do not have partners with them, and we encourage students to switch partners frequently in order to have a chance to dance with everyone and the instructor. This gives you the opportunity to experience other dancing styles and to chat with others and make friends. 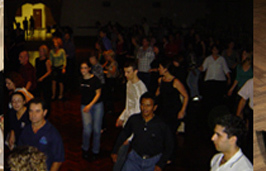 Having partners in your salsa dancing lessons and classes in Perth gives you a chance to form a social group of up-and-coming salsa dancers. Building bonds with other students and your instructors is important to becoming a successful, confident dancer. Once you see that dancing is fun and easy, you will enjoy the classes even more and continue to improve your life. Dancing only benefits those who want to take a big step and start learning!